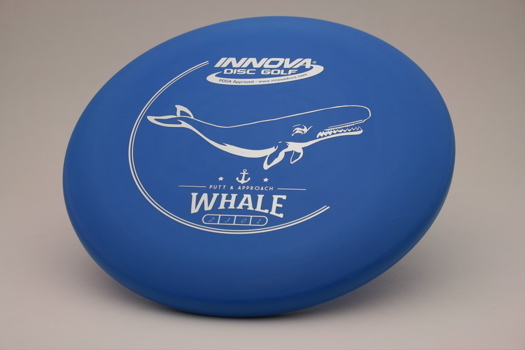 Whale - Innova says this about the Whale: A meaty feeling putter in the hand, the Whale is designed for players looking for consistent flights no matter how hard they throw. The Whale flies like a driver and lands like a putter. This disc is available inDX @ $8 and XT at $11.